Also pictured are the cookies I caved and bought 2 days ago out of desperation. 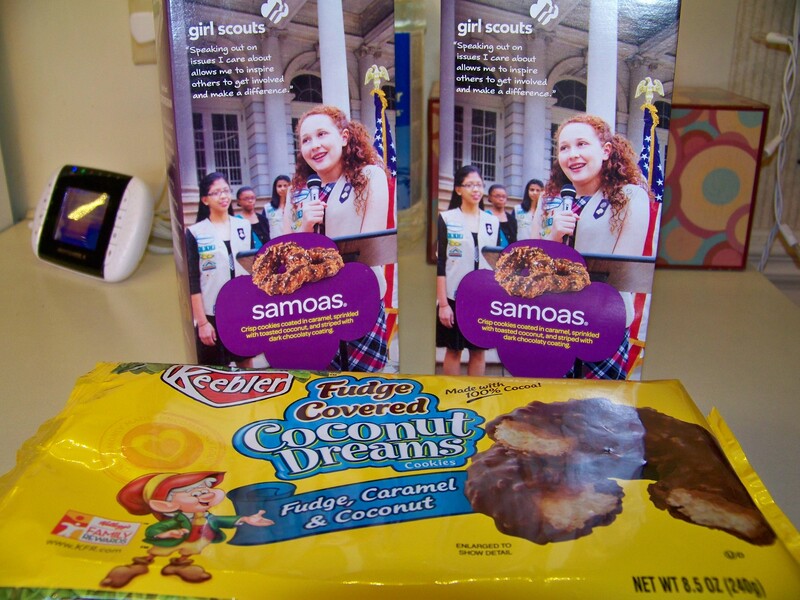 Apparently the Girl Scouts didn’t blacklist me after all. They really were just back-ordered. For 3 months. And now that our approval date is so close, I finally finished the profile book I’ve been working on for 3 months. Oddly coincidental, no? Maybe my need to keep my mind off the perfectly crunchy, caramely, coconut cookies that drove me to spend nearly 100 hours on this project. Or maybe it was that cookie-deprival stalled my creativity all this time. However these two events are related, today was certainly momentous. So anyway, when a birthmom chooses our agency for finding a family for her baby, we will get an email with non-identifying information about her: when she’s due, the baby’s gender, any health concerns for the baby, her interest in on-going contact. If we feel we would be a good match for her, we let the agency know that they can show her our profile book. She will narrow her choices down by looking through the books and reading our 15 page Home Study Report. That’s all I really have for today! Less than 250 words! I think that’s a record. That is, if you don’t count the text on the pages. This entry was posted in Open Adoption, Our Progress and tagged Adoption Profile, Domestic Infant Adoption, Humor, Sweets. Bookmark the permalink.